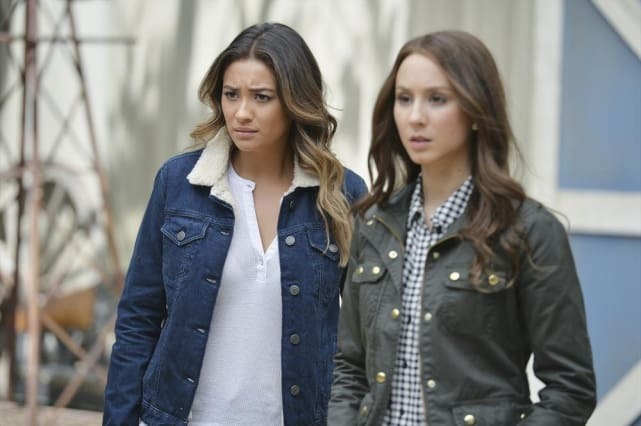 Pretty Little Liars Photos from "Scream for Me"
These photos are from Pretty Little Liars Season 5 Episode 8 "Scream for Me." 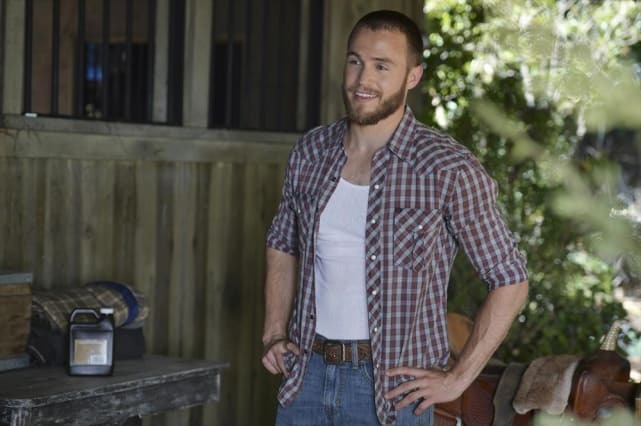 Emily and Spencer are sporting denim at the stables in "Scream for Me." 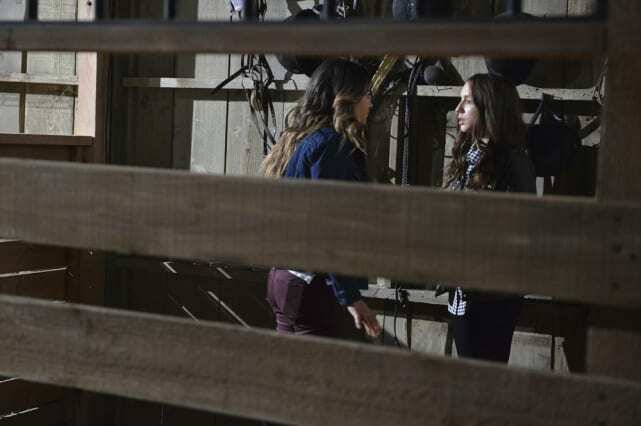 Emily and Spencer are looking around the stables in "Scream for Me." I can't find any information on his character, but he encounters Ems and Spence at the stables in "Scream for Me." What are they searching for at the stables? Find out on "Scream for Me." Spencer and Emily seem to be running scared in "Scream for Me." 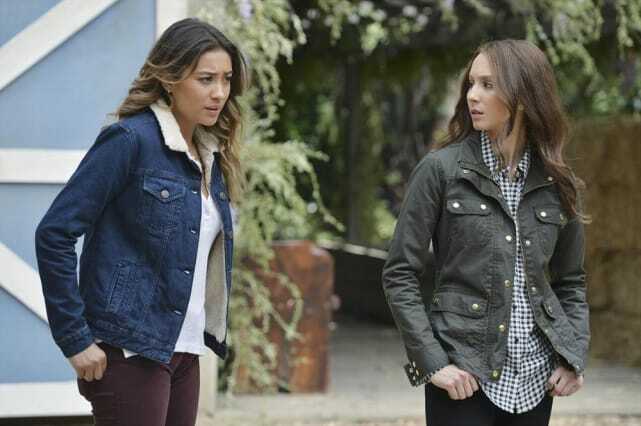 Who is watching Emily and Spencer? I don't think it's just a dramatic camera shot! 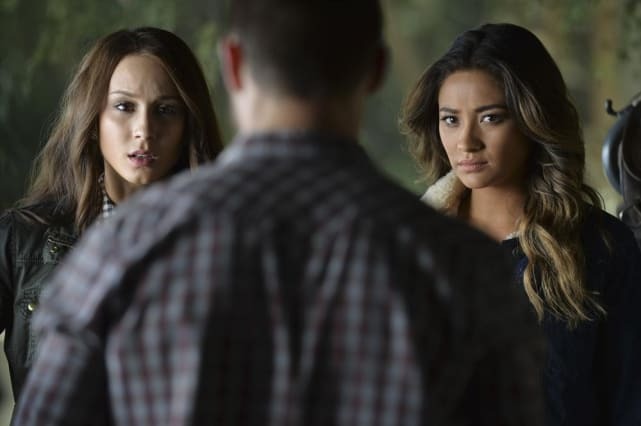 Pretty Little Liars Picture Preview: Fright Fest!